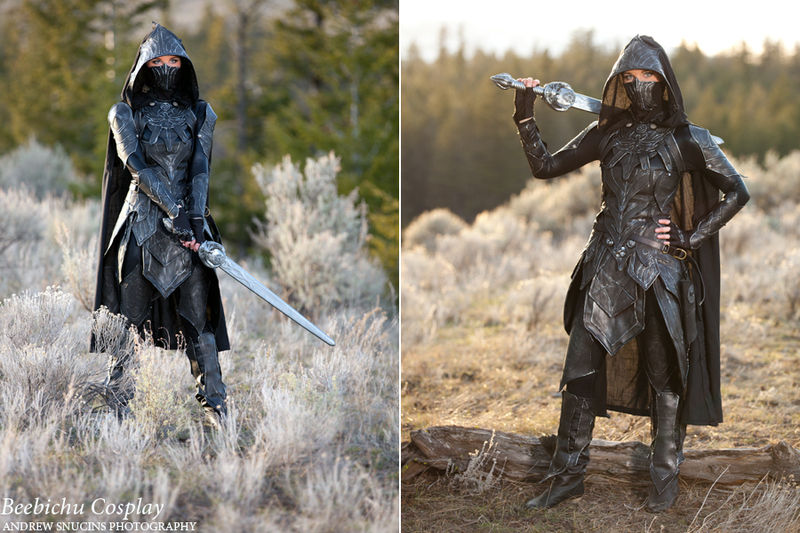 Beebichu's Costume Creations: Nightingale Cosplay: Skyrim - Elderscrolls V Armor Version 2.0! Cosplay! I am on a Nightingale cosplay kick right now, but hey, if you spend 4-5 months working on a costume you need to get your times worth of fun from it! There is still so much I could do with this costume we shall have fun for for years to come. 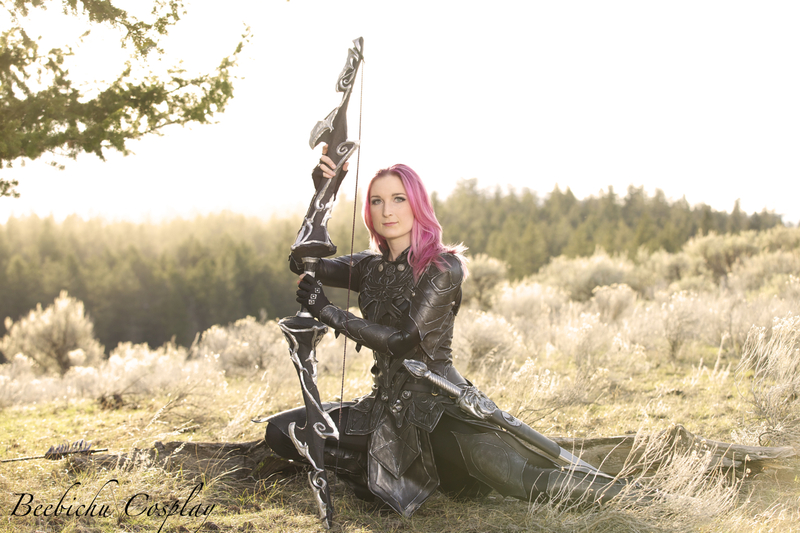 This weekend my photographer, Andrew Snucins, and I hiked into the woods and took photos of me modeling my costume. I spent the last week upgrading it with a new mask, more folds to the skirting, a scabbard for my sword, and touching it up from some damage that happen at the last shoot. 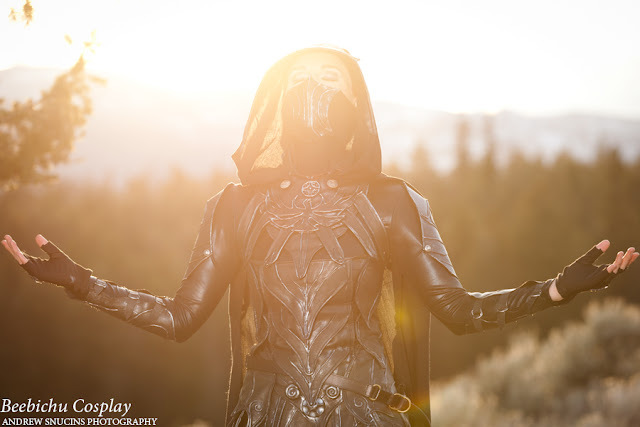 This costume is originally designed by Bethesda Softworks for their videogame Elderscrolls V: Skyrim. 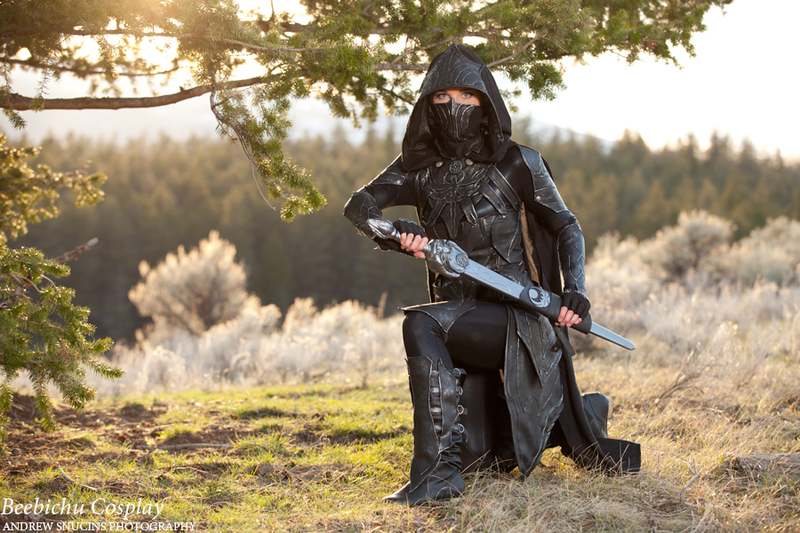 Called Nightingale Armor, it is a set your character receives in the game for completing a group of Thieves Guild quests. The bow and sword you see in my pictures below are also made by me and I tried to make them look as close to the game versions as possible. 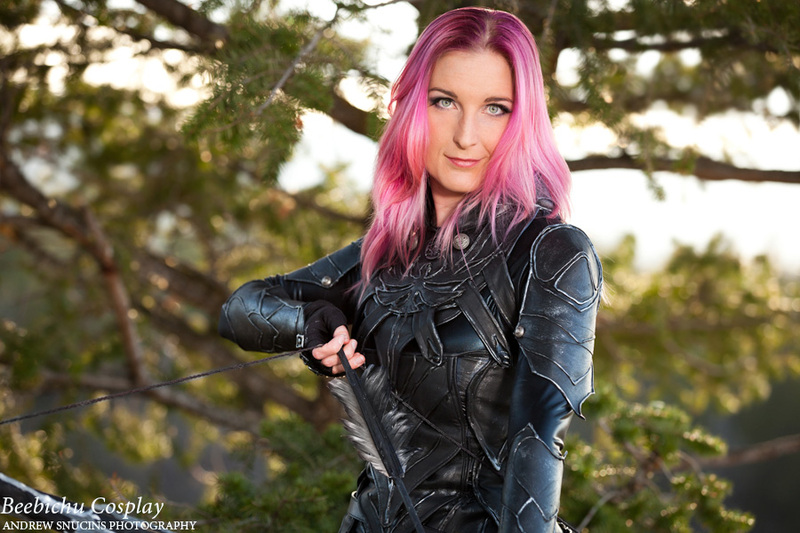 For a detailed DIY of how I made my costume see my other post on this blog. I know pink hair isn't lore friendly but I really detest wigs and just wanted some shots of my face. They turned out to be the best photos of the shoot. It was I who stole your sweet roll! As you adventure around Skyrim, city guards often ask you (very sarcastically) "Let me guess? Someone stole your sweet roll?" 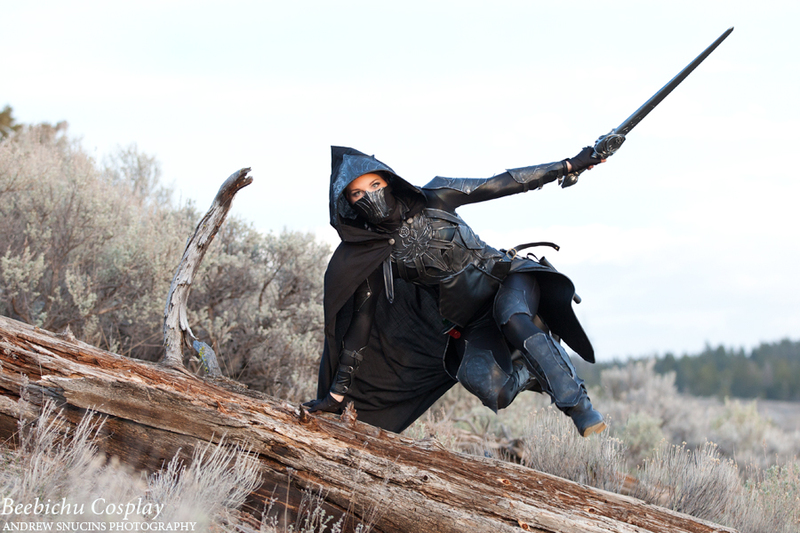 I couldn't resist this shot as the Nightingales are Skyrim's master thieves. Thank you! I enjoyed this shoot, it was a lot of fun! Awesome. Wanna make me a male costume? i deffinatly don't have the skill to make it!